This new edition features a cover by Dean Ormston with colors by Dave Stewart. 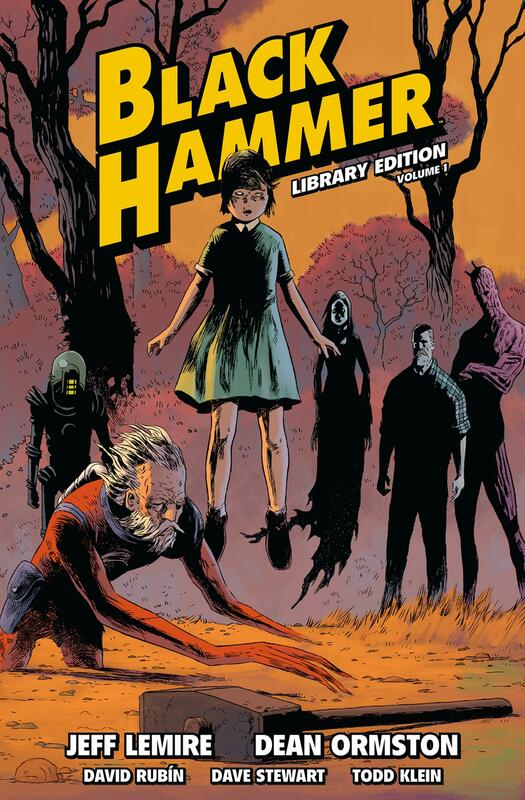 It collects Black Hammer #1-13, the Giant-Sized Annual, sketchbook extras, and more, with artwork by Dean Ormston and David Rubín, as well as Dustin Nguyen, Emi Lenox, Nate Powell, Matt Kindt, Ray Fawkes and Michael Allred. It arrives in stores Oct. 24.